BUCHE DE NOEL in our showcase DAILY now through December 23rd! ​Give us a call to see what's available TODAY! Our showcase is full of fresh tasty desserts every day! BUCHE DE NOEL~ Rolled Yule Log Cake with Christmas Trimmings! 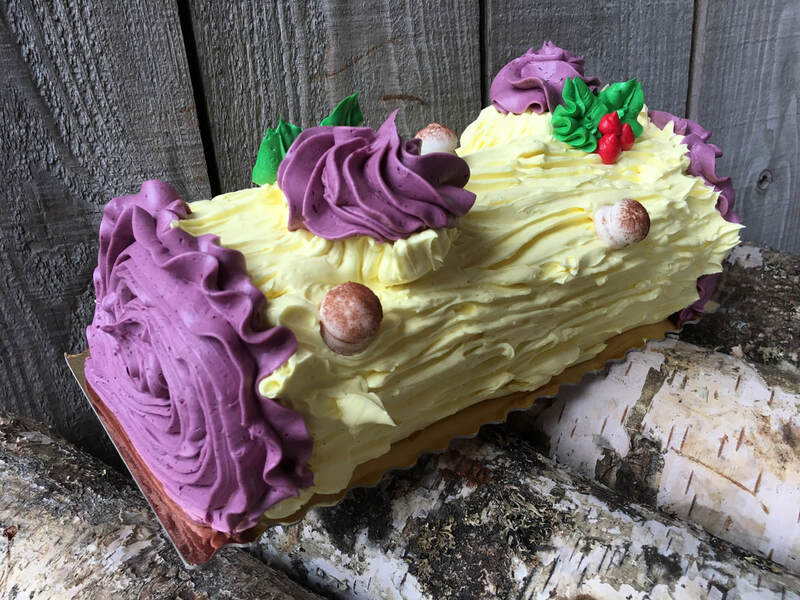 LEMON BLACKBERRY- Vanilla Roulade Cake filled with Blackberry Buttercream and finished with Lemon Buttercream! CHOCOLATE PASSION FRUIT- Chocolate Roulade Cake filled with Passion Fruit Buttercream and finished with Chocolate Buttercream! In our showcase DAILY through December 23rd! Call ahead to see what's available TODAY! Our retail section at Incredibly Delicious is easy to shop from and full of fine European goods! ​ NOW is the time to shop with these awesome deals! Click here to Call Incredibly Delicious! Thank you for all your Christmas Orders! 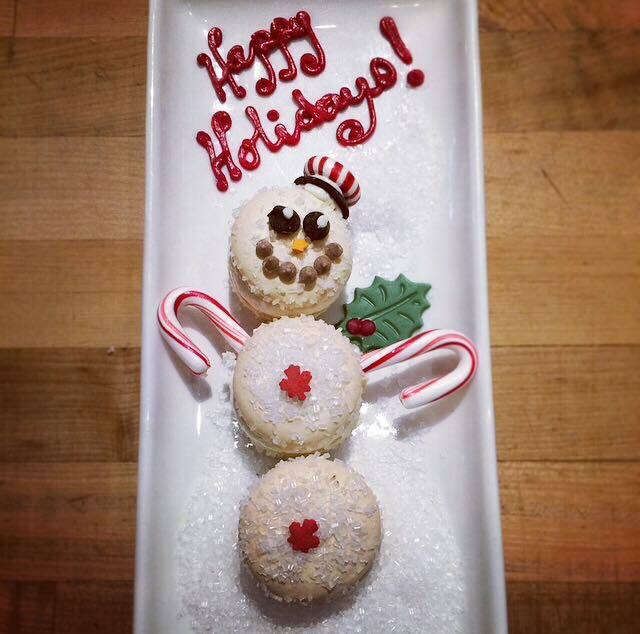 We are SOLD OUT of all pre-ordered desserts through December 23rd. Please call us to see what is available from our daily selection of fresh baked goods, breads, and desserts. We have Gingerbread cookies available for stocking stuffers in packages of 2 or in DIY Kits for purchase in our retail selection. We bake everything fresh daily, and tend to sell out early during the Holidays! Please call ahead if you are looking for something special or would like a large quantity of Gingerbread.